The COOK Holiday Bash is the magazine’s yearly celebration of thanksgiving to everyone who has supported the magazine for the previous years. It is the perfect kickoff to the holiday season as Cook Magazine awards people who are central to COOK Magazine’s tagline of “Connecting Foodies”. On its 15th year of publication, Cook Magazine has an even bigger reason to celebrate as their state-of-the-art Kitchen Studio finally opens. The state-of-the-art Kitchen Studio is equipped with the best kitchen appliances and fixtures from HÄFELE and its other brands, namely, Bosch, Siemens and Gorenje. The COOK MAGAZINE KITCHEN STUDIO is the perfect venue for demonstrations, product and recipe testing as it showcases the best of European technology for the Filipino foodie. Advertisers, sponsors and columnists, and photographers received plaques for their loyal and continued support. Cook Magazine recognizes the people behind the magazine's relevant and interesting content. 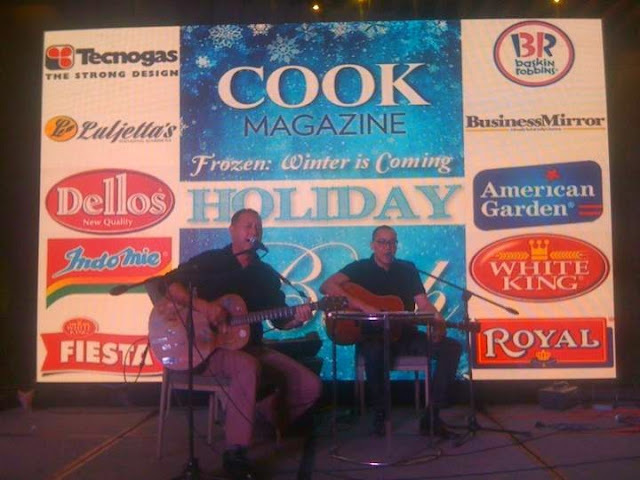 The Holiday Bash attendees were treated to wacky performances by the Cook Magazine staff, plus an intermission number by Vince Borromeo and his friends. Raffle prizes were drawn every now and then, much to the delight of the guests. Among the grand prizes were a refrigerator from Whirlpool, a top-of-the-line Technogas stove from Italy, a multi functional vegetable food cutter by Berghoff Philippines, and a Bosch Kitchen Machine by HÄFELE. The event was hosted by Marou Pahati Sarne of DWIZ and Marlon Aldenese, Advertising Sales Manager of COOK Magazine. 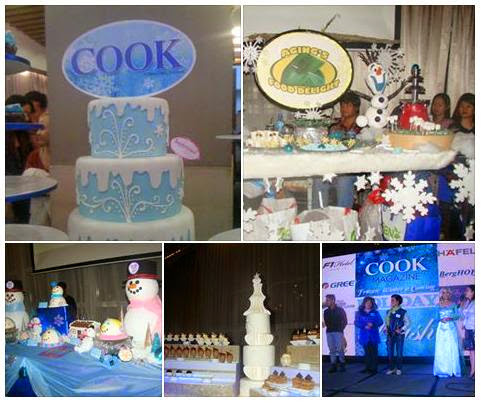 The COOK Magazine Holiday Bash was held at the Infinity Ballroom of the F1 Hotel in Bonifacio City.